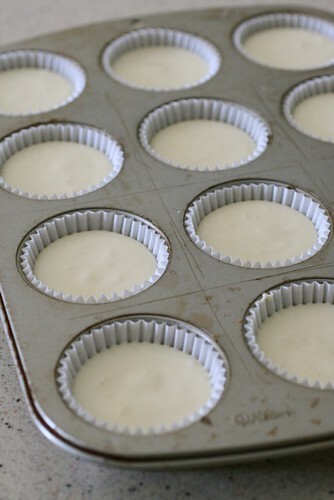 Preheat the oven to 325˚ F. Line cupcake pans with paper liners. In a small bowl, combine the graham cracker crumbs, melted butter and sugar. 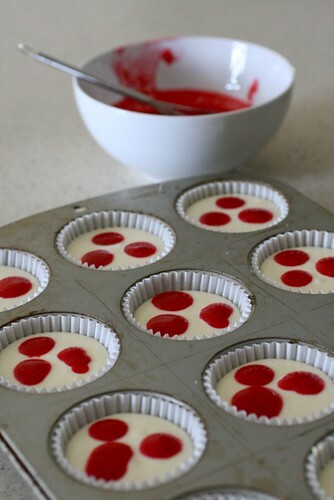 Stir together with a fork until well blended and all the dry ingredients are moistened. 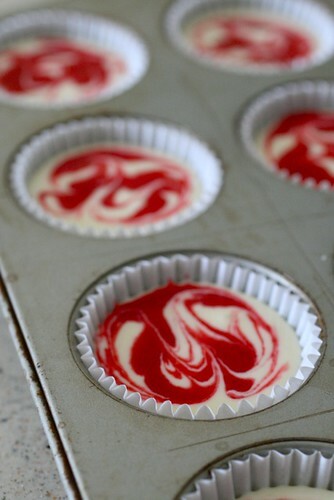 Press 1 tablespoon of the mixture into the bottom of each cupcake liner. 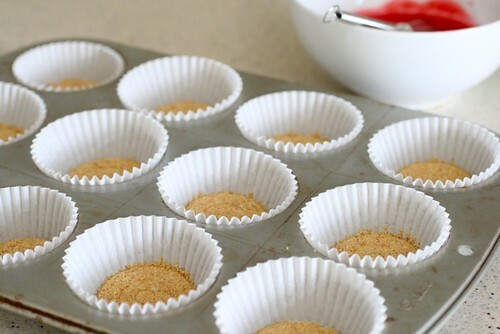 (I like to use a small drinking glass to easily and evenly press the crumbs down. One of Andrew’s sippy cups works wonderfully.) 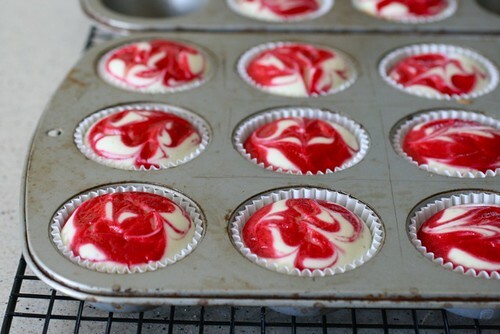 Bake until just set, 5 minutes. Transfer to a cooling rack. 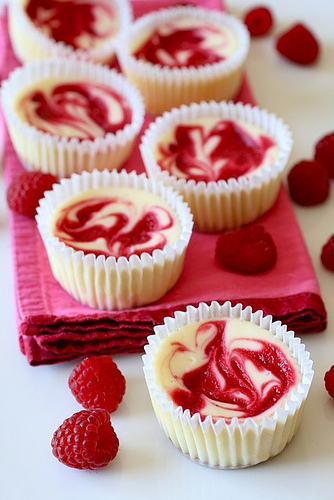 To make the cheesecake, beat the cream cheese on medium-high speed in the bowl of an electric mixer until fluffy. Blend in the sugar until smooth. Mix in the salt and vanilla. Beat in the eggs one at a time, mixing well after each addition.